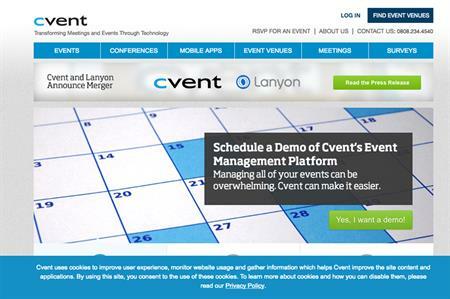 Lanyon Solutions will merge with cloud-based company Cvent, to create a global technology leader under the Cvent brand. The merger is effective today, and the companies will combine business operations in the coming year. Vista Equity Partners, owner of Lanyon, has completed its previously announced acquisition of all outstanding Cvent common stock for $36 (£28) per share in a transaction valued at approximately $1.65 billion (£1.3bn). Reggie Aggarwal, Cvent’s founder and CEO, has been named the CEO of the new combined company. David Bonnette, CEO of Lanyon, will work with the management team through the transition to a single company. The headquarters for the combined company will be in Tysons Corner, Virginia with a significant office presence in Lanyon’s former headquarters in Dallas, Texas. "We celebrate two new milestones today as we formally join the Vista family and merge with our highly-regarded peer, Lanyon," said Aggarwal. "Combined under the Cvent umbrella, and with Vista’s powerful backing, we will draw on our decades of experience to push the boundaries of event technology innovation and remain focused on delivering outstanding technology, capabilities and service to the events industry."